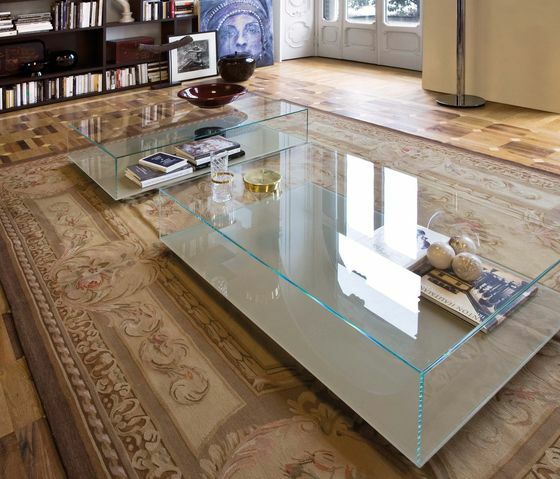 Also some glass parallelepipeds which can act as small tables are part of the Miss collection. They seem “still” and “cold” if named this way. The delicacy in design, the possibility to decorate the base top with colours and the transparency being the worthy outline enable to liven up the wood and to reverse the impression.